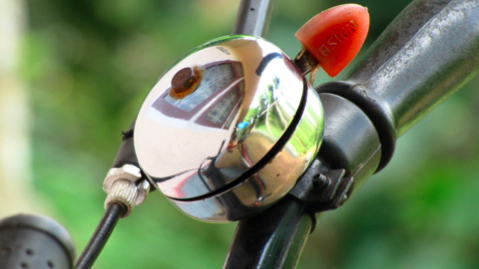 Bells are not a legal requirement for bicycles using the road. The Highway Code does not stipulate that bells must be used. However, it does state the following, “Be considerate of other road users, particularly blind and partially sighted pedestrians. Let them know you are there when necessary, for example by ringing your bell”.